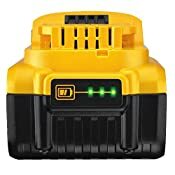 The DEWALT DCB205BT 20V MAX* 5.0Ah Bluetooth Battery offers a full range of Bluetooth features, including Track & Manage, Enable Disable , and Diagnostics. The 'Track & Manage' feature ensures that once battery is paired , nobody can pair to it unless you unpair it first. 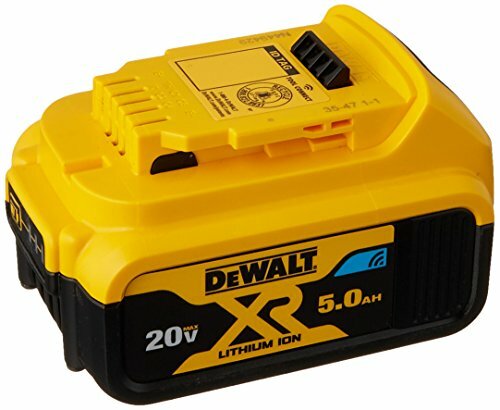 This battery works with existing Tool Connect app to track and manage inventory - download the Tool connect ™ app for free at the App Store or Google Play for more info. It also offers blue LED for pairing indication as well as identification. Users get an amp hour more (25% more) of runtime compared to DCB204BT. Backed by DEWALT'S 3 year limited warranty. Includes: 1) DCB205BT Battery.